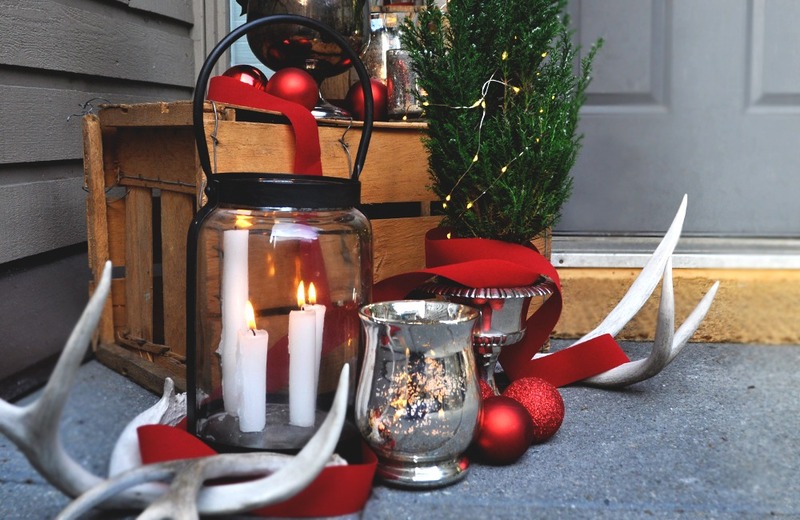 Since we don’t have stairs at our front door, it can be difficult to change up the décor. I found the key is to create levels, almost like a set of stairs. This allows me to lay out more items and it’s eye catching. I wanted to have a vintage vibe for our front door décor so I went to my local Salvation Army Thrift Store. 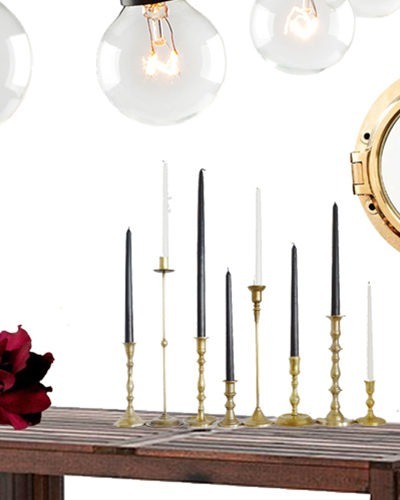 I am on the mailing list so knew my local store was having a 50% off home goods! I was able to find all the vintage silver for half price. Make sure to sign up for the Salvation Army Thrift Store email. 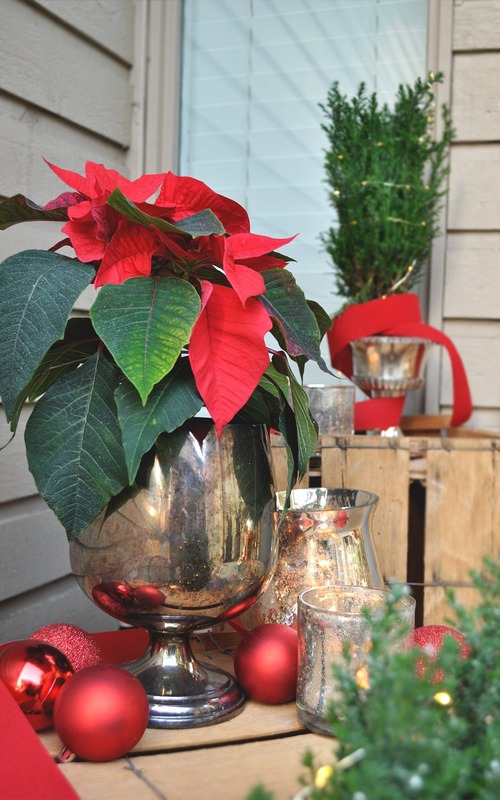 I love this vintage vase, it looks like a giant trophy and I knew it would look wonderful with a large poinsettia. This silver vase was regular $9.99 but I was able to score it for $4.99. I was so excited and know this will definitely be a featured piece throughout the year. When creating your front door set up, don’t forget how it looks from above, since people will be walking by. It’s great to think of the visual from all angles. Here is another silver vase I scored for $3.99. 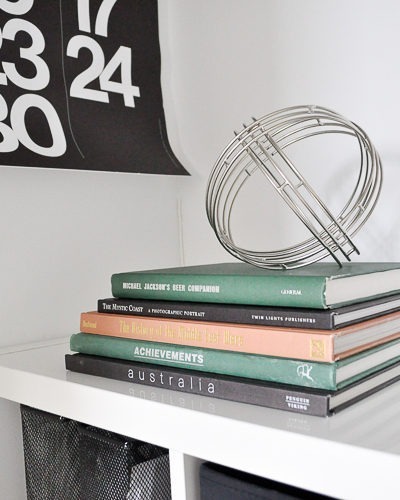 If you are looking for vintage décor, I think thrifting is a great way to find these items as people are always donating items they no longer need! I had the red balls from a previous year and since we didn’t use them on the tree this year I thought they would work great with the front door décor! 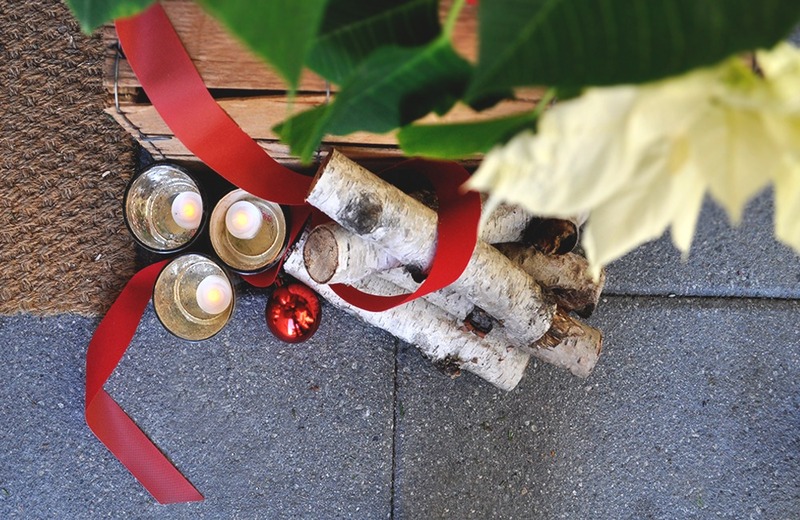 It’s always a great idea to take stock of the items you have that are easy to work into a holiday set up whether for a MANTEL, TABLESCAPE or front door. The only other item I purchased was this roll of ribbon from my local craft store for $3.99. 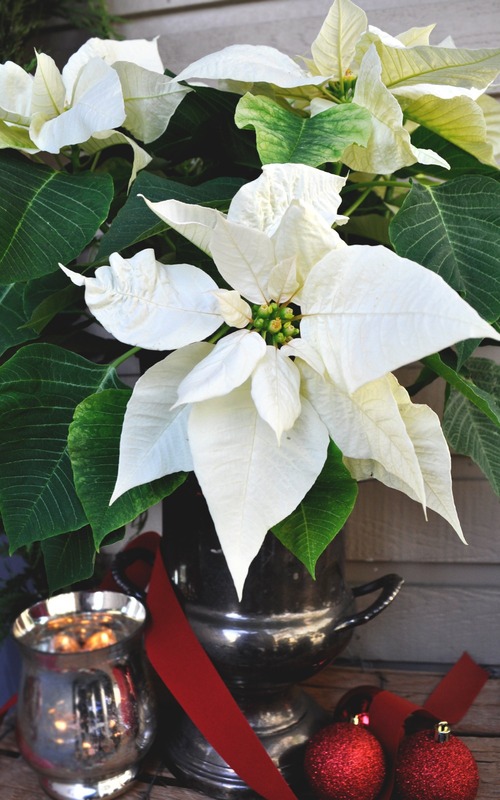 I used it in a few other rooms and thought it would be a great way to connect all the front door décor while adding a pop of colour. 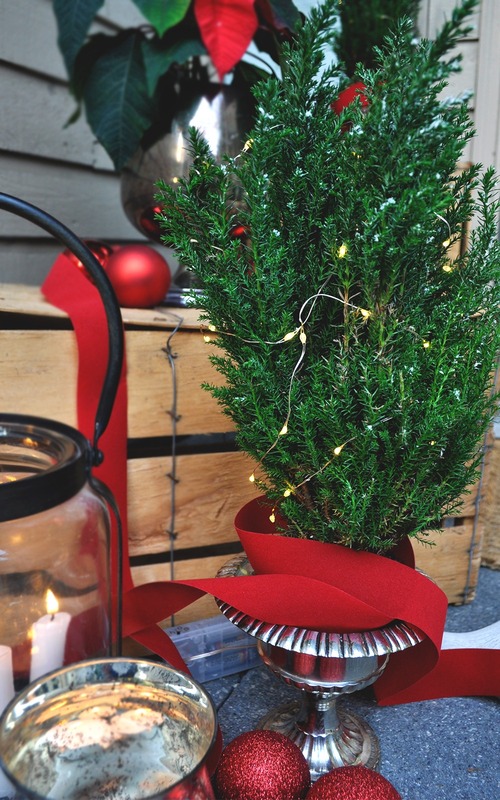 Ribbon is a very affordable way to decorate, plus add colour to your set up and it is easy to reuse for other projects. 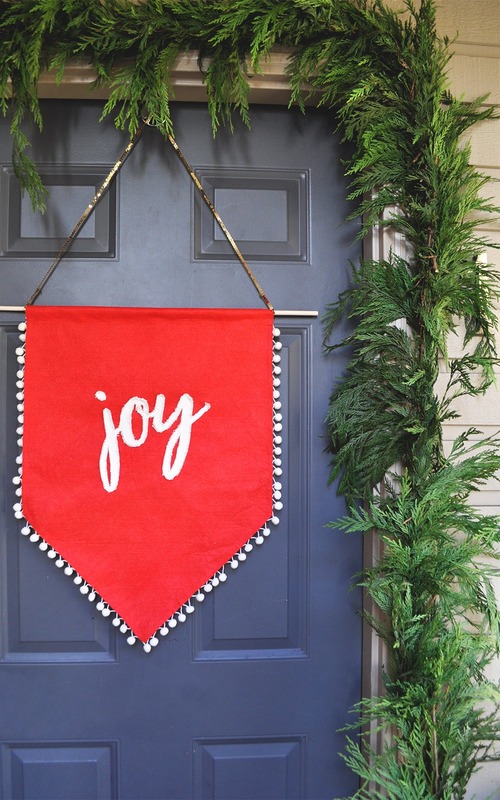 The JOY BANNER is an easy DIY I created last holiday season. All you really need is a piece of felt, some scrap material and a few little baubles or sequins. 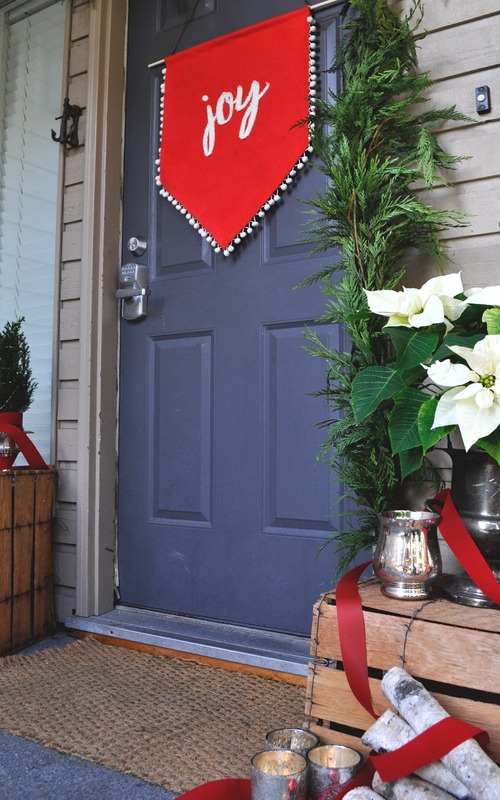 The banner is really easy to make and creates a statement for the front door. I stored the banner with my holiday décor and simply steamed it before hanging it up! A great piece you can use year after year. 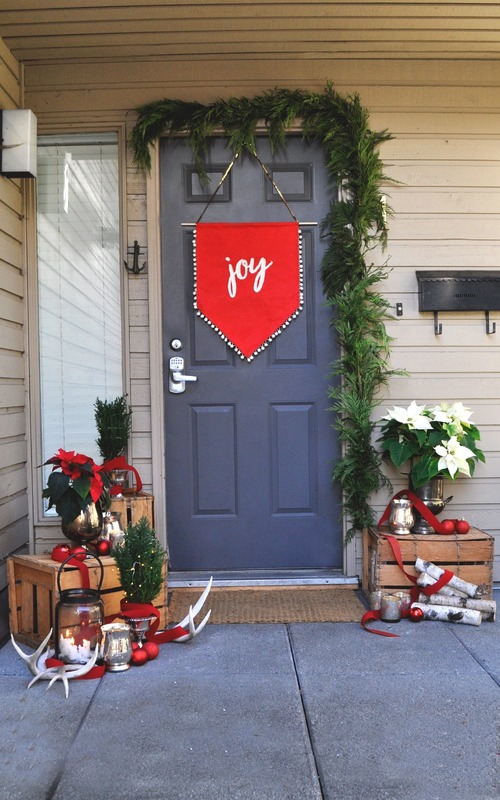 Do you have plans to decorate your front door? It only took my an hour to get all the materials together and set up. I usually do these things after work to save time. 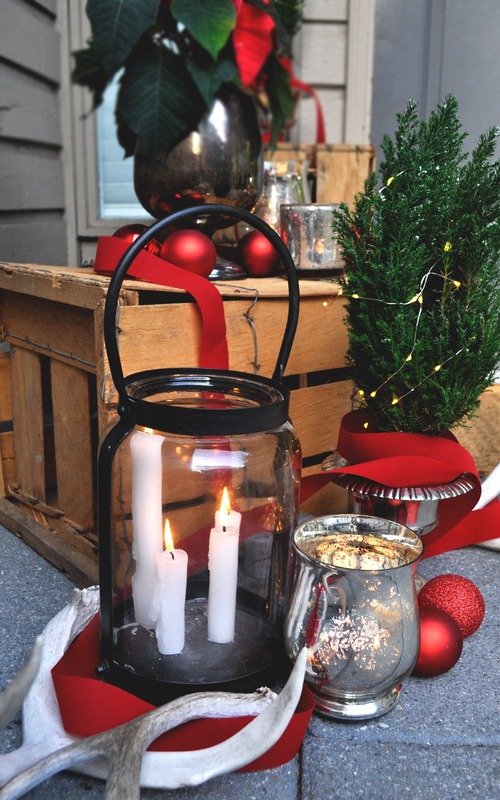 Are there any dream holiday items you are looking for this season? I bet you could find them at the Salvation Army Thrift Store. They have a huge holiday section in store with everything from wreaths to tree decorations to santas to lights. You can find so many beautiful items in store. 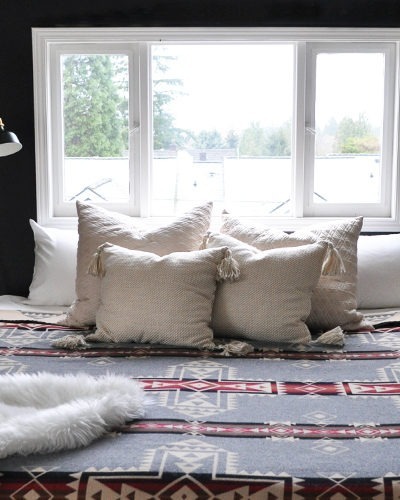 Previous A Bedroom Makeover For Under $300!